Does anyone know how co-op missions are created? Yes it’s basically an algorithm that uses the information imputed by the stats designer who research the mission types of that era and made a functional randomized algorithm to make the mission for that era to a certain date. Oh cooperative yes you have to have every one ready. Game won't start. Doesn't even get to the login screen. Just crashes. Steam. Sent crash dump file to support. Only flown a few quick missions, it's just stunning. Thank you for the whole team, this is awesome! Did a quick sortie in G6, and the new display range and the terrain textures are just beautiful! I just tried playing a quick mission and the Black Sea is a bunch of water squares with white/grey pixel underlining. I’ve seen that before that May be a driver issue. Well I've updated my graphic driver a couple days ago and also made all the important Windows updates today. That's just what she said. I'm just happy with beautiful Stalingrad map actually I can see and feel. This is so amazing stuff which they said long time ago. but when I fly the new map, I'm feel like flying a new world literally. Perhaps not all that original...but still I am as happy as the good doktor! What changes will be needed to old missions, if any? Just tried it out. You've got to delete all the .msnbin files, and then the ME will open the .mission files, which you will then re-save, thus generating fresh new .msnbin files. Which the game will then open. It's a bit of a bore, but it's not hard, and it's pretty quick to do. I'm updating our training missions as we speak! Edit: actually, Tom, you don't even have to do that, at least for SP missions. Once you've deleted the .msnbin files, the game will happily run the SP missions. I suspect that's not going to be the case for MP, though. We'll probably still need to resave, in order to generate new .msnbin files. Good news for SP guys, though. Double-edit! Scripted campaign missions will also need to be resaved. The game won't even show the missions in the UI without their .msnbin files!. Last edit! You may have to re-adjust the cloud/weather options. This is similar to what happened with previous version updates. Close top cowl flaps on the engines. To add to what @216th_Jordan said: the upper cowl flaps were only to be opened on the ground. If you do a search on YouTube, there's a wartime training video that shows how having them open while in the air will disrupt the airflow over the wings. Thanks Guys! Absolutely stunning update and all working perfectly! All downloaded and fine. I took the A20 on a Stalingrad Autumn map with full clear skies. I put the Map scenery distance to Unlimited, and Graphics setting for horizon draw distance to 150km. But when flying the real map drawing distance is maybe 20km max and then all is blurred and whitish. Is it normal. I will try with Kuban map and see if it is different. I love it. Yes I do. I really love it. Not a substantial comment but needed to say it. I... I... really... reeeeeaaaally love it. Just a few Screen grabs. Just a wonderful job, thanks Devs and all involved. 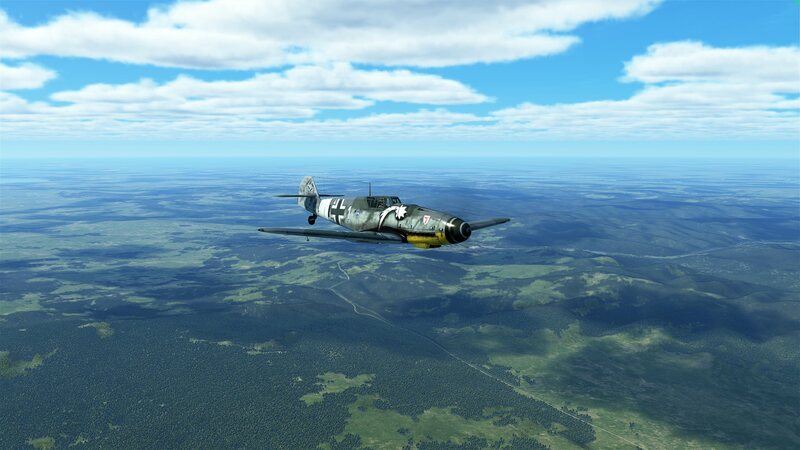 This time I took the P39 around on a Kuban summer map with clear skies. Rows of trees all appear to disappear and then be redrawn, disappear again etc. The display or drawing of the trees is not stable at all. It think there are still issues to iron out. 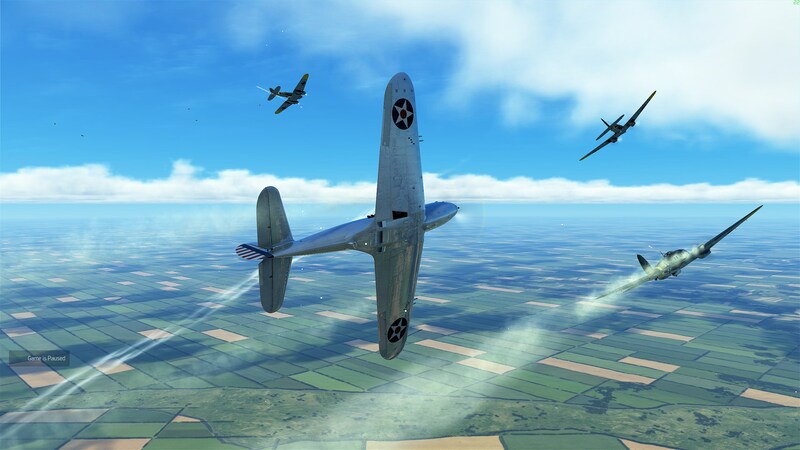 Yeah, what about accessing IL2 with VR?  Long time ago i deleted steam il2.exe shortcut and made new one from game directory. It doesn't count hours spent in game anymore in steam library but it runs steam vr without problem when clicking on new il2.exe. 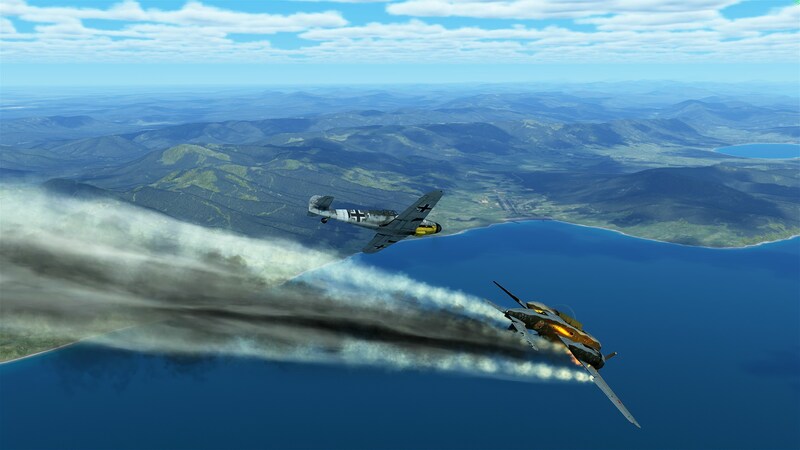 So no need to run steam or steam vr before running the game, just double click on new il2.exe. And what if we do not have the *.mission files any more???? I hope that we wont loose all this work. How do you do to try the rain? Do we have a rain option in the weather or it just has to be overcast? Fly through clouds for a start. Looks wonderfull. You do lose all the work. Always backup your .mission files. Wow, that view range! The fogged up glasses are taken off!!! The 150km is the far terrain tiles/mech and haze settings. 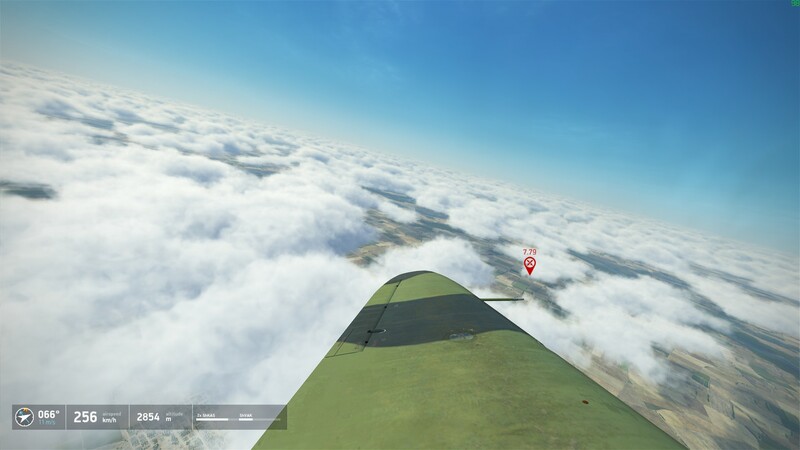 The Map Scenery settings has nothing to do with the real-time draw distance or "bubble" around your plane. It is the overall scenery that is "loaded" onto the map around the "center" of your mission. Stray too far away from the prescribed waypoints and object like towns will be mission. The settings that have a direct impact on the "bubble" are the pre-sets. Ultra is the furthest. You can also tweak the terrain in the Settings. On max settings and sharp terrain filter any blurring should be extremely minimal. Wonderful update, can't wait to have a server to play on. In the meantime i'll try the campaign! hey guys.... The TEAM has been working on that plane for a long weeks, even months, ... and all of you the first thing what you do, is taking G6 with crazy canon and all the team's work is destroyed in very few seconds..... dont you have a feelings, empathy, or what? Just did a quick test in quick missions with the Spit. The prop rpm no longer seems to be working , or is it just me? I had it assigned to an axis and it worked before, even re-assigned it and still no joy. I set my distance to 70km, just on the quick run I did performance seemed ok for me in VR, however will need to fly a full mission to get a better feel. Ok understood. And indeed you are right. But when flying say at 500 meters (not too high) Ion a typical Kuban landscape that is made with a lot of nice square field with trees delimiting them which creates nice tree rows, there is a strong tree blinking effect at the bubble limit. It is not stable. Entire rows of trees, or forest patches disappear (i mean are replaced by a different surface tree color patch) and then come back. Like if the bubble limit was oscillating. By oscillating I mean bubble size varies an is not stable. The bubble size or distance from the plane seem to be about 10 to 15 km. Any idea? It's just you. Nothing was changed with it. 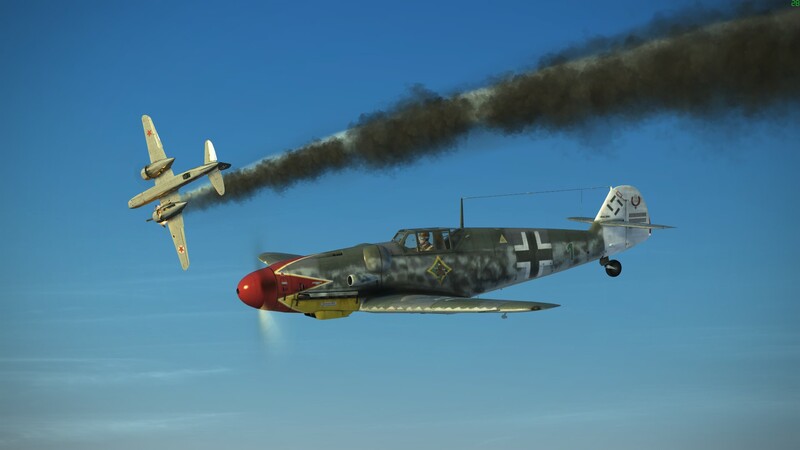 When will early access for Bodenplatte and Pre orders for Flying Circus and Tank crew come out? This is the same poster who trolled with their first post. This topic isn't about that, so please don't derail it with questions like this. OK I broke it, can I get a new one ? Everything works exceptionally well. The P-39 is quirky as it was in real life. I removed the wing-mounted guns from the start. Pay attention to signs of an impending stall as she doesn't come out as easily as most a/c. Training helped Soviet crews avoid some of the problems that caused American pilots to disdain the a/c. 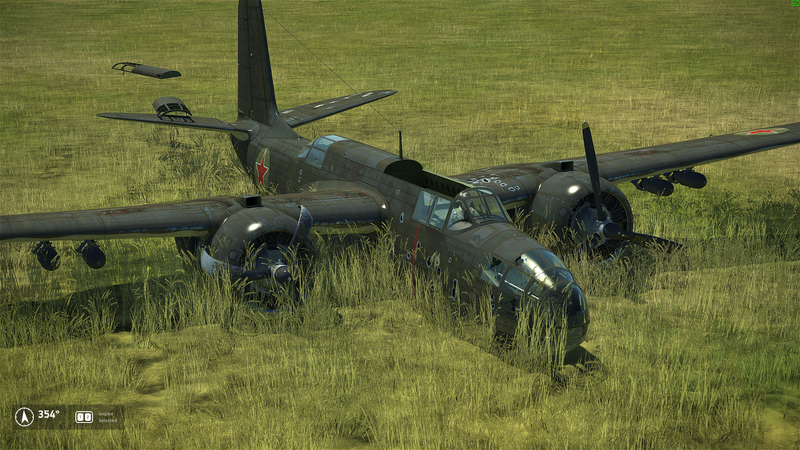 I switched to the La-5FN Series 2 and switched the enemy to a 109G and shot down my first fighter. It was easier than I thought. Probably beginner's luck. Hell yeah! What an update! One thing for sure - you guys absolutely rock! Thank you so much - this game is really amazing! Have to stop writing, must return to flying. Now that is a blue sky. Apparently, as soon as "Lock payloads" and "Lock weapon mods" are activated, there's a ~75% chance that the plane you pick has one single loadout available only, which is completely locked from any changes. There seems to be no logical scheme in when or why this happens. Fact is: In ME all mods and payloads (0..99 and 0..999 respectively) are enabled on all planes and this was workind with 2.012 perfectly fine. Furthermore, as soon as I use "Manage SDS" and save an SDS file, the difficulty settings of "custom difficulty" are being reset no matter what has been selected, it always resets to "Navigation icons" and "Warmed up engine" enabled and everything else disabled - this should rougly be the "expert" setting, so there's no way to apply custom settings at all anymore. this is a huge step forward, you dev guys delivered huge thks for the effort, now we ppl should make an effort to reward this crew and buy something, a collectors plane at least.